Blog - We're on CBeebies radio! We’re delighted to announce that the first episode of our new 10-part show for CBeebies Radio, ‘When I Grow Up’, will air on Saturday 12th April. The show is all about looking at the world of work through the eyes of children. We wanted to find out what children understand about the jobs their parents and other grown-ups do, so we created a series of drama workshops designed to encourage children to imagine themselves in grown up shoes and to role-play being an adult at work. Making the show was a joy and once again children demonstrated how funny, original and refreshing they are to work with. A big thank you to all of them who were involved, plus their parents and teachers. Of course, it was an honour to work with the BBC and we are eager to hear our work out loud. Stay tuned! 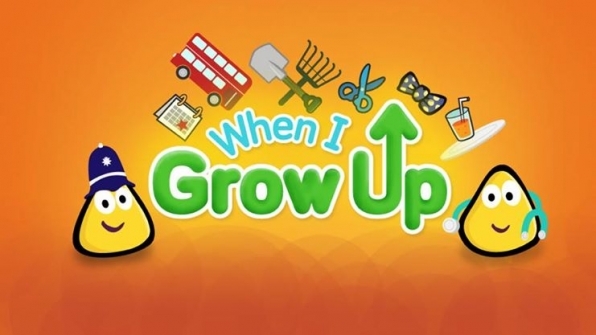 Do let us know what you think about ‘When I Grow Up’. You can contact us via email.